That dull ache in your right side may have gotten worse over the last few weeks. But instead of seeking medical help, you type “side ache” into a symptom checker. Then you find out it could be anything from muscle strain to appendicitis. Most people who are reluctant to bring up troubling health problems with their doctor are actually  scared of finding out there is something seriously wrong. Fortunately, the solution is often far simpler than the worst case scenario the symptom checker brings up. These are some of the most common questions patients are afraid to ask about their health. 1. Why can’t I lose weight? From osteoarthritis to stroke, obesity is a risk factor for nearly every major illness known to man. Often, the key to reducing body weight and the amount of dangerous fat that surrounds your organs is a balanced diet and regular to moderate exercise. But sometimes reducing your caloric intake and hitting the gym yields more frustration than fat loss. Instead of bringing up weight loss plateaus to your doctor, you’re more likely to double down on your diet and exercise, risking injury or long-term organ damage in the process. Your doctor can provide insight into a host of other reasons why weight loss has been slow or impossible. Hormone levels are particularly important in the process and a simple supplement can often help you restart your weight loss journey. 2. Is my ____ cancer? You can fill in the blank with just about any ailment and have it ignite that queasy feeling in the pit of your stomach. We all tend to jump to the worst case scenario when we notice something in our bodies that troubles us. But in all likelihood, that bump, lump or pain is associated with something else. Still, not speaking up about something new or changing in your body not only delays treatment for what is really going on, it also adds anxiety to your life. Better to know and fix it rather than not know and stew about it. 3. Why do I get so many headaches? Again, the worrywart in all of us automatically thinks frequent headaches are a sign of a deadly brain tumor. In reality, headaches are often a symptom of a condition that may be unrelated to your head. Poor posture, dehydration, a lack of sleep, changes to your eyesight, technology use, and spine problems are all associated with frequent headaches of varying degrees. If you experience frequent headaches or headaches that interfere with your daily life, relief is often a doctor’s visit away. 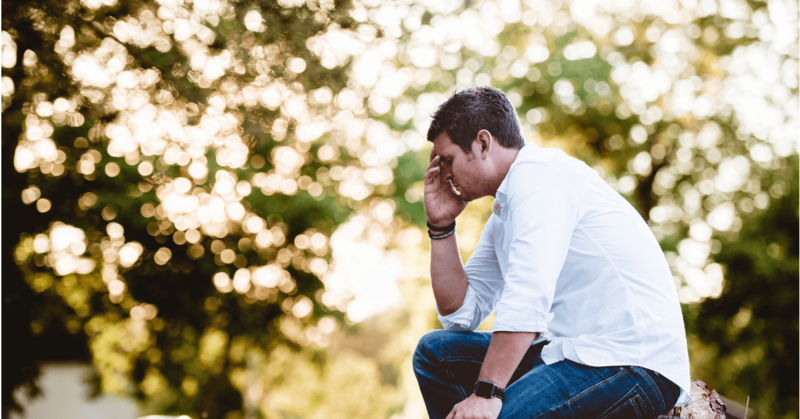 Not only can they recommend lifestyle changes that will impact the number of headaches you experience, they can help you manage your headaches, often without prescription medication. Ultimately, it doesn’t matter which questions you are scared to ask. What matters is that you have a health care provider that is willing to listen to your concerns. They also run tests when necessary and help you determine the best course of action for your body. Have a health question you would like answered? 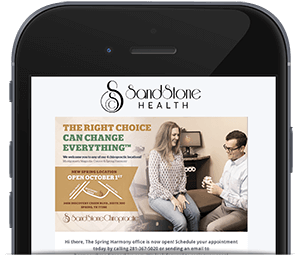 Call Sandstone today or make an appointment online.